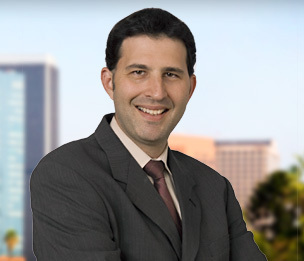 Brian Newman is a nationally recognized trial lawyer, and a member of the Firm's Consumer Financial Services practice. Brian specializes in defending class actions and complex litigation, and clients repeatedly turn to Brian for their most challenging, high profile business disputes – in areas ranging from financial services, to intellectual property, to employment law. For nearly 20 years, Brian has litigated in multiple forums throughout the country, achieving favorable results in California, Nevada, Illinois, Texas, New York, and Florida. Brian is also an accomplished appellate lawyer, having argued and won multiple appeals in the California Court of Appeal and the 9th Circuit, including published decisions. Brian regularly lectures and writes on various legal and business issues, and is a featured correspondent on Archinect Sessions, a podcast for architects, engineers, and other design professionals. Brian also serves as the Firm’s Assistant General Counsel. Brian is a graduate of UC Berkeley and the UCLA School of Law. He is a proud father of two daughters, an enthusiastic outdoorsman, and an accomplished amateur chess player. Served as lead counsel in a trial against a publicly-traded software company. Mr. Newman's client, the plaintiff, was awarded 100% of the damages it sought, and the defendant was ordered to pay plaintiff's attorneys' fees. Served as lead counsel for the defendants in a $10 million real estate dispute between several members of a limited liability company. Mr. Newman's clients were awarded summary judgment on all claims. Obtained summary judgment on behalf of his client, a nationally chartered bank, which was being sued in federal court in connection with its response to a turnover order from the Franchise Tax Board. Served as lead counsel in a trial between two former partners in a medical practice. Mr. Newman's client, the plaintiff, was awarded 100% of the damages he sought, and the defendant was ordered to pay plaintiff's attorneys' fees. Represented a mortgage lender in connection with a national multi-district litigation involving multiple class actions and more than 1,000 individual plaintiffs.